The Minister of Health for Khartoum state has warned of hepatitis and HIV/AIDS transmission through medical waste. 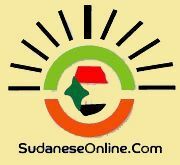 Minister Mamoun Humeida told reporters on Thursday that the hospitals and health clinics in Khartoum produce 10 tons of waste each day. He acknowledged that the Ministry has failed to address recycling of the waste, in response to press reports about a human tissue found at a main street in the city. He suggested that the samples may have leaked from medical waste lorries. He stressed that people should not touch medical waste found in the streets, which could be infected with diseases such as hepatitis and HIV/AIDS.